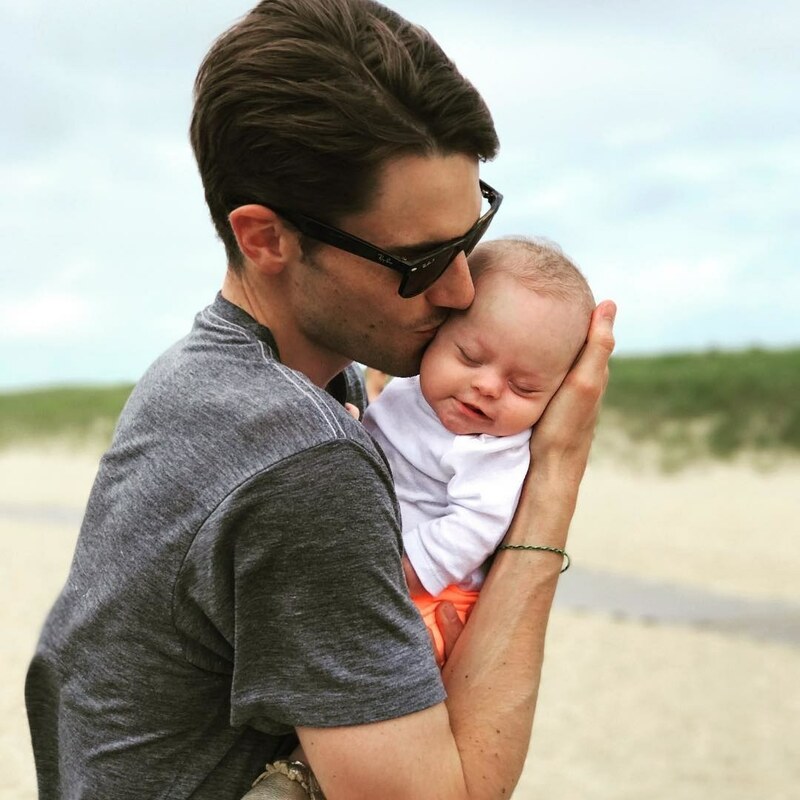 My husband Oliver and I had been trying for quite a while to get pregnant, so when we did, we decided around 11 weeks to opt into a noninvasive prenatal test in order to find out the gender. Or so we thought. The following week, the results came back positive for trisomy 21, the most common type of Down Syndrome. Because that was just a screening test, we went through the diagnostic process and around 12 or 13 weeks, we finally had the confirmed diagnosis. We both cried. We turned the corner together, and at 20 weeks, we found out the gender: a girl. We named her Tenley, a name many people associate with Tenley Albright, a formidable woman, Olympian, and surgeon. Tenley was due on May 3, 2017, surreally my uncle’s birthday. He had trisomy 21, too, and grew up in the ’40s, when it was rare to raise a child with Down Syndrome in the home, and lived a very full life until the age of 65. But, Tenley came three weeks early, on April 16, the day before Oliver was supposed to run the Boston Marathon. She was born around 1:00 p.m. in the afternoon, and we slept in the hospital together and the next morning, Oliver went to the starting line and ran with her name printed on his arm. He made a personal record of three hours and 18 minutes, and after, ran directly back to the hospital. People were yelling her name and she was less than 24 hours old. Now, Tenley is 9-and-a-half months old and while she has a number of challenges as a result of trisomy 21—she has some respiratory issues, and was on oxygen until she was six weeks old because her lungs didn’t shed their immature cells quickly enough; as well as hypothyroidism, which is very common in children with Down Syndrome—she is so happy. There is a stereotype that people with Down Syndrome are always happy, and it’s one that, for me, is hard to dispute. In fact, people always ask me if I only take pictures of her when she’s smiling, but the truth is, no, she’s actually just always smiling. My dad, whose brother had Down Syndrome, believes that once there is more research done on the disorder, scientists will find that it negates whatever gene causes judgment. There is no science behind it, but, anecdotally, it’s absolutely true: Tenley loves everyone. People are always saying, “Oh, Tenley is no different than anyone else,” but I like to say, “But she actually is different. She’s not your typical baby: She goes down at 7:30 p.m., she sleeps through the night, she’s always happy. . . .” We’re very lucky and proud. In fact, I like to announce almost immediately when introducing Tenley that she has Down Syndrome. I don’t like feeling like people are guessing, “Does she?” or “Doesn’t she?” Sometimes, people will say, “I can’t even tell!” And even though I know they don’t mean to be offensive, the truth is, I’m proud of her cute little nose and her almond-shaped eyes and her rosy red cheeks. 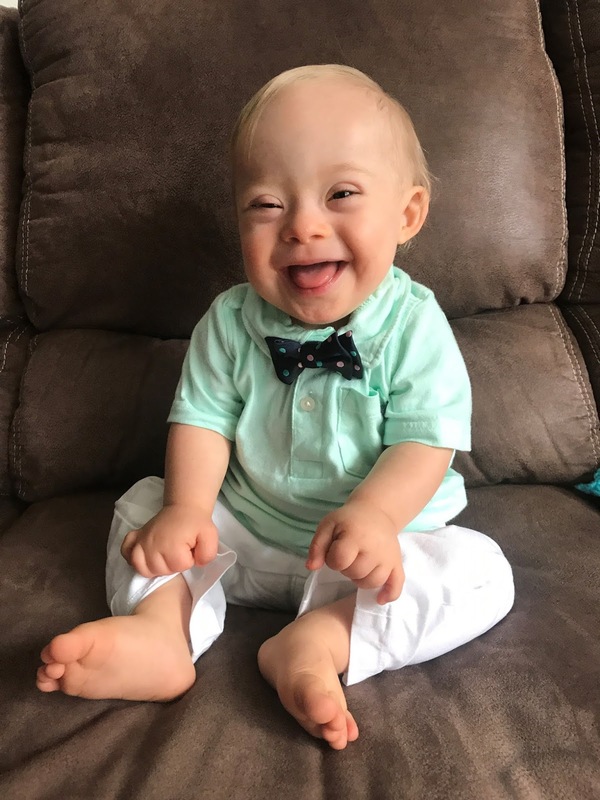 That’s why, upon seeing her condition celebrated on national television last night, (February 8, 2018) with Gerber’s announcement that, after more than 140,000 submissions, they’ve named their First Gerber baby with Down Syndrome, 1-year-old Lucas Warren, the feeling was truly inexplicable. Tenley was already asleep when we sat down to the watch the Nightly News With Lester Holt. I remember Oliver pausing the preview and saying, “Oh man, this is going to be a tearjerker,” and sure enough, we both cried. Later, we watched the full segment from the Today show because we just wanted to see more. I think it goes without saying that all people think their children are beautiful; and we absolutely think Tenley is beautiful, inside and out. Despite all the worries we have about her adolescence and adulthood, we know she will have an incredibly fulfilling life. But I think, for all kids, it’s important to see yourself in the world around you so you can dream about what you want to be when you grow up. And now, Tenley will.